There will be a Paddlefest on July 12 at Gallagher Beach, proceeds to benefit WNY Adaptive Water Sports and its adaptive programs. 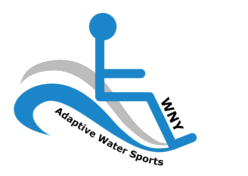 WNY Adaptive Water Sports is a part of Great Lakes Water Sport Institute, a not-for profit 501(c)3 Corporation and all donations are tax exempt under IRS guidelines. The Paddlefest will include timed races and fun races for all paddle sports as well as demonstrations and opportunities to meet the vendors and try new things and new equipment. If you are an expert, novice, or just wondering if you might like it, come on down and join the fun.